Courtney and Josh are so awesome, I'm not even sure where to start. They met at pub trivia through a mutual friend, own a cat, lift competitively, go to Harvard graduate school and technically got engaged with a cupcake on top of a ring pop. To me it sounds like a great movie! My first meeting with Courtney and Josh was actually at another wedding ( shout out to Magda + Robbie! ) Courtney, there is no bigger compliment than that you wanted me at your wedding too and I hope you enjoy the pictures as much as I enjoyed taking them. You and Josh are really amazing people and it was my honor to be a part of your day. Upon walking in to Courtney's hotel room, I knew we were in for a great day. Sure it was going to rain, but so what! Everyone was warm, welcoming and ready to party ( or have a cheese break. ) After finishing hair, makeup and getting the bride in a beautiful lace dress, we made our way to the Stone House at Stirling Ridge for the first look. It was as the time, quite rainy, so we picked a very pretty room in which to let Courtney and Josh have their a first moment together ( mostly private, I mean Lauren and I were there taking pictures. ) Josh playfully sneaked up on Courtney, tapped her on the shoulder and when she turned around their smiles couldn't have been bigger! After asking the happy couple to sit on the backs of some chairs, the rain slowed and we were able to head outside. Special thanks to Lauren for letting me borrow her clear umbrella, it made some beautiful rainy portraits possible. A private Ketubah signing was next with family and the bridal party. Courtney and Josh signed their marriage contract, witnessed by the matron of honor and best man. After being "technically married now" as Courtney said, you could really see how happy they were to be husband and wife. The public ceremony, had the most gorgeous chuppah with birch logs and flowers galore, under which was said personally written vows. ( Josh's actually had some blood on them from a papercut and Courtney's matched the lining of their invitation envelopes. ) My favorite part though, was at the end when Josh stepped on the glass and it went skipping away, twice! I'm not sure it ever actually broke, but after a shrug and grin they made it even more official with a kiss and headed back down the aisle. While waiting for introductions to the reception, Lauren told me a story about how she had just witnessed one of the older male guests, swipe his finger through the cake and lick the icing off his finger! I was flabbergasted! We went over to look and sure enough, there was the finger mark, all the way down to cake! Lauren was not sure who it was, I think she was in shock. The reception was perfect. I learned about how Courtney and Magda ( the matron of honor) were originally frenemies, which I still find hard to believe as they are both extremely nice people. And that Josh's grandmother does not approve of the best man's facial hair. And that all of Courtney and Josh's guest know how to boogie. The energy on the dance floor was contagious and continued until the very end of the night! The perfect day. I'm so happy for the two of you!! 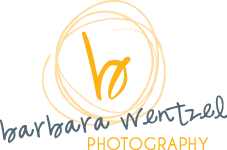 Barbara Wentzel - Thank you so much, Evelyn! I agree they are some very special and amazing people! Evelyn - Love this!!! I don’t usually read long stuff but this was great and gave me a glimpse of a fun wedding ! But that’s Berger! This wedding was so the Berger I met and liked instantly! I know Josh has got to be a really special guy buecause Courtney is such a warm people magnet person! Your pictures are phenomenal! Love the umbrella ones.